When you apply for a personal loan, one of the factors that stands above all others in determining your rate is your credit score. The higher your credit score, the lower the rate. 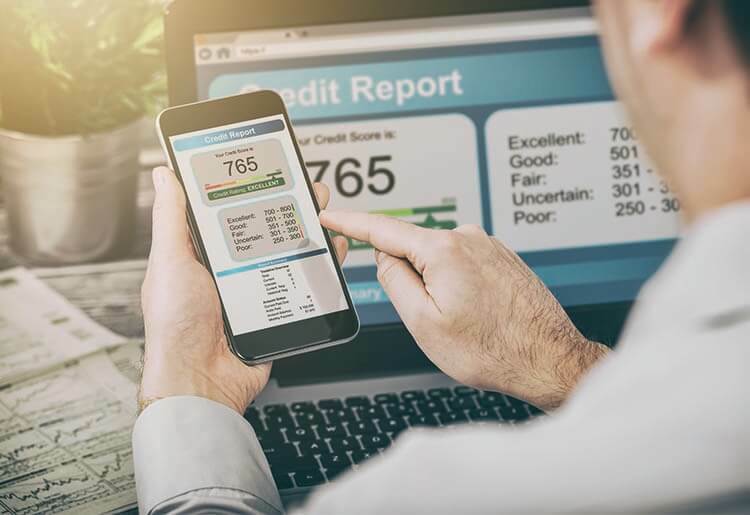 Generally speaking, a good credit score should be enough to qualify for an interest rate below the national average of 10.1%. An excellent credit score is needed to qualify for the lowest APRs of 5%-7%. What is good credit? The definition varies slightly, depending who you ask. Experian, one of the 3 big consumer-credit agencies, defines good credit as anything between 670-739. LendingTree and Credible, 2 of the largest personal-loan marketplaces, define good as 680-719 and 700-749 respectively. Payment history (35%): Scored by whether you made past credit payments on time. Amounts owed (30%): Scored by how much you currently owe creditors. Length of credit history (15%): Generally, the longer your credit history, the higher your score. New credit (10%): Penalizes you for opening too many credit accounts (e.g. loans or credit cards) in a short period of time. Credit mix (10%): Considers your mix of credit accounts. Credible’s powerful online search tool matches good-credit borrowers with the best rates on personal loans from 10 top lenders, including Marcus, BestEgg, Lending Club, and LightStream. Rather than request a separate quote from each lender, borrowers can simply fill out Credible’s short online form to see the best quotes from all of them. The service is free to use, and it only takes a couple of minutes to fill out the form and see your results. Read the full Credible personal loans review. SoFi provides personal loans with favorable rates for borrowers with good credit through its fully digital platform. It has no fees, APRs of 5.74% - 16.99%, high loan limits up to $100,000, and flexible repayment terms of 36-48 months. Unlike other lenders, SoFi also looks beyond credit scores and debt-to-income ratios to factors like estimated cashflow, career, and education. This means borrowers with less-than-excellent credit still have a chance of securing better-than-average rates, provided they tick all the other boxes. Read the full SoFi personal loans review. LendingTree is an online marketplace for personal loans that lets borrowers compare the best rates from dozens of lenders. Like Credible, LendingTree lets you see and pre-qualify for multiple personal loans with just one online form. But its reach is broader, making it a more appealing option for borrowers with good credit or borrowers looking for unusually long loan terms. Marcus is a new personal loan solution from one of the nation’s oldest banking institutions: Goldman Sachs. It is one of a new wave of digital loans platforms, using an automated assessment process to quickly come to a decision and have the funds in the customer’s hands within 2 business days. Marcus promises never to charge any fees. That means no origination fees, no processing fees, and no prepayment fees. It only earns money from interest. Read the full Marcus review. This peer-to-peer lending marketplace has been around for less than 15 years and has already facilitated more than $14 billion in loans. On Prosper you can apply for a fixed-rate loan of between $2,000 to $40,000 for either 3 years or 5—with an APR that depends on your financial well-being. Loans are approved in as quickly as 1-3 days and if you want you can always prepay your loan without any penalty. Read the full Prosper review. If your credit score is fair or poor, there are several ways to improve the situation and enjoy better rates and terms. Before doing anything else, you can check your credit report and inform the relevant credit agency if you notice any mistakes. Under federal law, everyone is entitled to see a copy of their credit report every year. To obtain a free credit report directly from the credit-reporting agencies, contact Experian, Equifax, or TransUnion. You can also get access to all 3 reports simultaneously via AnnualCreditReport.com. For free access to your combined FICO score, go to FICOScore.com. As mentioned above, the most important component of your credit score is your payment history. Therefore, the most effective way of improving your credit history is to set up payment reminders and make sure you pay all your existing loans, credit cards, or mortgage payments on time every month. You can further improve your credit situation by paying off any debt you owe. It’s all about credit. If you have good or excellent credit, that puts you in a good or excellent standing with lenders and encourages them to offer you the best rates. Most lenders and lending marketplaces offer personal loans with APRs of as low as 4.99%-6.99%. What they don’t always tell you right away is that these rates are reserved for a minority of borrowers with near-perfect credit. The good news is anyone can achieve good or excellent credit. It requires some effort, but the rewards—and low APRs on personal loans—are worth it.